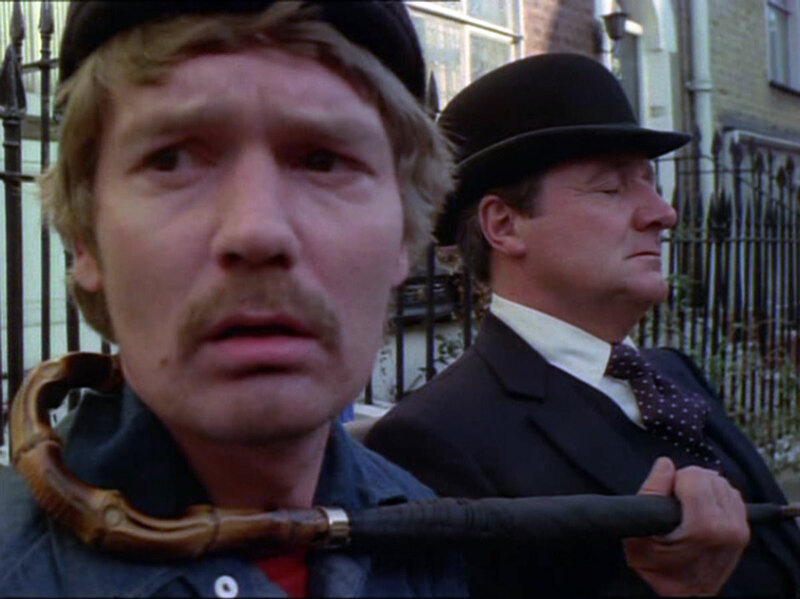 Professor Marco arrives in London but is intercepted before customs by Brady (Keith Buckley), who pretends to be his welcoming party, then assaults him and assumes his identity. 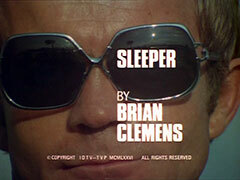 He joins the New Avengers and a host of military types at a demonstration of the new nerve agent, S-95 by Dr Graham (Arthur Dignam) - all those at the demonstration who weren't inoculated drop into a deep sleep after a plane roars past overhead, dispersing the material. A tour bus circles Trafalgar square, then heads for the squalid East End, where the tour guide, Tina (Sara Kestelman), tells the passengers to get comfortable and hide their weapons, this'll be their camp. Brady meanwhile steals the S-95 from the MPs guarding it. Back at the bus, Sally tells plastics expert - and Steed's friend - Frank Hardy (Joe Dunne) Brady has succeeded and he sets off to warn Steed, but she guns him down. Steed, dining with Gambit and Purdey, tries to ring Hardy. Purdey is dropped home as Brady arrives at the bus and gives the S-95 to their pilot (Peter Godfrey) who assures him he'll be airborne by 4:40am. Brady inspects his troops and passes them in. Steed meanwhile invites himself in for a nightcap at Gambit's, and tries to contact Hardy again. The bus moves out, leaving Hardy's body behind, while Steed keeps ringing Hardy. Gambit challenges him about it and Steed explains Hardy called him yesterday, saying he was chasing 'something big', but didn't keep their rendezvous. Dawn breaks and Brady wakes the bus as the pilot's helicopter flies by - its noise waking Steed and Gambit also. Gambit goes to feed his sparrow friend, and they find him asleep on the sill. Steed is aghast to see nothing moving outside - even if it is 5am on a Sunday - and rings Purdey to get her to check her suburb. She finds a man asleep in the act of turning out of a side street, and an amorous couple (Peter Richardson & Denise Reynolds) asleep mid-embrace but locks herself out and can't get back to the 'phone. Gambit's found his high-rise block is completely asleep, while Purdey tries to shout at the 'phone from outside, then some of Brady's men cut the lines. Purdey takes off in the sleeping man's mini, while Gambit & Steed head to her place in Steed's Big Cat. Brady dismisses a report from Sector 3 of a car, telling Tina everyone within the area is out cold, and they've set up road blocks already anyway. Fred (Gavin Campbell) blows in a bank's doors with a rocket launcher, Purdey hears it from Gambit's flat and Steed and Gambit hear it from hers. Gambit realises a car would give them away, so they set off on foot to stop "piggy bank day". 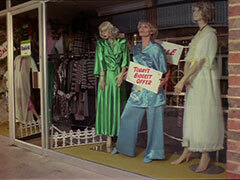 They see Purdey drive by, but are unable to warn her as the bus passes close behind, heading for another bank to raid. Blowing open the next bank, Tina has another report of a car - this time in sector 5. Brady sends Chuck (Mark Jones) to sector 5 with Bart (Prentis Hancock) and sends Bill (Leo Dolan) and Benny (Dave Schofield) to sector 3. 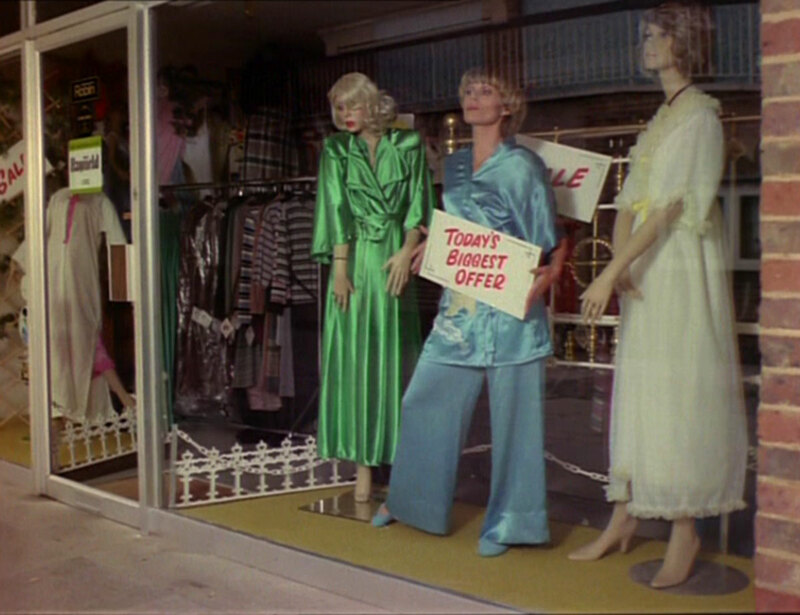 Purdey runs across Chuck and Bart, and after a furious, bullet-riddled chase through empty streets escapes them by pretending to be a shop window mannequin - but is unmasked by her pyjama bottoms falling down! She defeats them and steals Bart's belt to prevent further embarrassment. Gambit and Steed stop by the pub Ben & Phil (George Sweeney) were guarding for a cold one, but they've luckily gone off looting - Purdey sees then break into a jewellers and gives chase when they return to the pub and start breaking out bottles of Moët. Steed and Gambit find the car Purdey had been driving while she's dispoosing of the now drunk goons at the pub. Elsewhere, Chuck and Bart spot Steed and Gambit pursuing the bus and give chase, but our heroes get the jump on them by pretending to be asleep at a bus stop. Purdey meanwhile has found Hardy's body, with a map of the operation in his pocket. Aross the river out East, life continues apace, oblivious to the slumbering capital. Two East End coppers (Jason White & Tony McHale) are ordered across the river to see why another officer hasn't reported in, and use their siren which Purdey hears. Unnerved by the still city, they're pleased to see Purdey flagging them down, but slump in the car as S-95 takes hold of them, and they drive straight past and crash. Steed and Gambit, up Post Office Tower, spot the smoke from the fires at the gang's camp out east - they're burning traceable notes - and then spot the incoming helicopter that'll whisk the loot away and head off. Purdey disposes of a guarding sniper and follows the helicopter too. The pilot's ready to go, so Brady tells the gang they'll received Swiss bank account numbers in three days - he and Tina are heading to Rio. 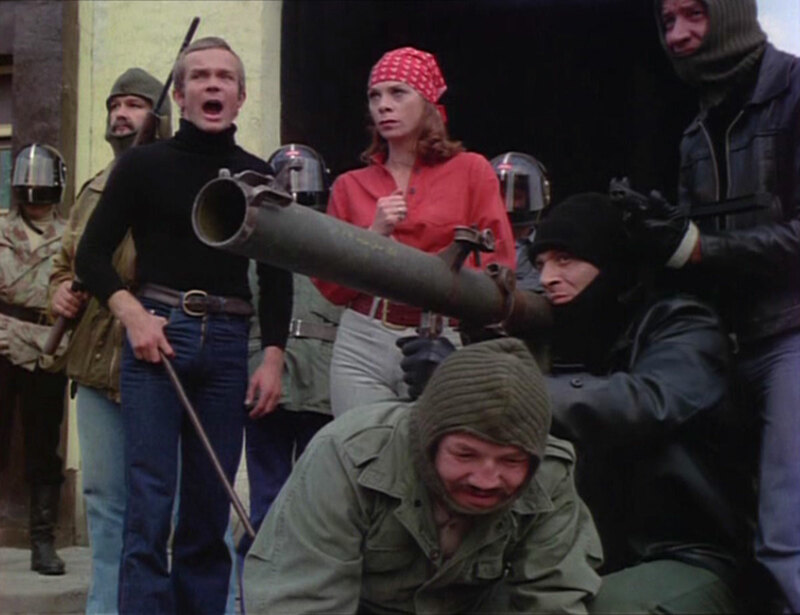 Two of the gang members, wearing balaclavas, are Steed and Gambit, who follow the leaders and knock them out. Gambit tries to jump the pilot, but the pilot does the same - it's Purdey! They contact the authorities and Dr Graham rushes to give them a heroes' welcome, but finds them all asleep in the helicopter!